Gm to Follow Turbo Trend? It used to be that there was no replacement for displacement. Nowadays however that saying is giving way to fuel economy and environmental issues and big block power plants are losing ground to smaller boosted engines. Ford has already shown its cards by releasing a twin turbo engine in the aluminum twin turbo 6 cylinder eco-boost. Although there is no confirming news out there, we do fully expect to see a twin turbo engine in a GM pickup truck soon as well. 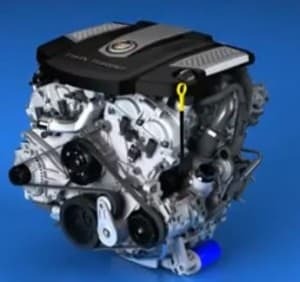 Most likely GM will have this type of engine in its Cadillac models and then maybe its other sport models and then finally trickling down the line to the full size pickup trucks. We may even see a new Sierra Denali with a win turbo all aluminum V6, drool. If you have driven or ridden in one of the new Fords with the Eco-boost engine then it is safe to say you’re not skeptical about the idea of having a V6 in your full size truck. If you haven’t had the joy of riding in a new Ford then you should know, there is no reason to be skeptical. In fact there are a few advantages other than just fuel economy that the twin turbo option allows. Twin turbo charged engines tend to have more torque available during the lower RPM’s versus a V8 where the torque usually peaks somewhere around 4,000 RPM. Also with the turbo engine the torque lasts all the way through to 5,000 RPM meaning the usable power could actually be better with a smaller twin turbo motor. It was only a matter of time before GM brought this idea to fruition. Even the die hard displacement enthusiasts are going to have to admit that the new twin turbo power plants have as good if not better performance than their V8 counter parts.